Waterloo – Wilfrid Laurier University is inviting members of the university community and the general public to nominate worthy individuals for honorary degrees. Honorary degree recipients are people who personify Laurier’s institutional proposition of inspiring lives of leadership and purpose. Individuals selected for the honour are presented the award during a convocation ceremony and are invited to address new graduates. The nomination deadline for fall convocation is Thursday, Feb. 15. Buffy Sainte-Marie, singer-songwriter and activist. Honorary degrees are not awarded posthumously, nor generally to current Laurier faculty or staff, current members of the Board of Governors or Senate, or active politicians. To make a nomination, fill out and submit an online nomination form​. Nominations must include a letter signed by two nominators and a full curriculum vitae or detailed biographical sketch. 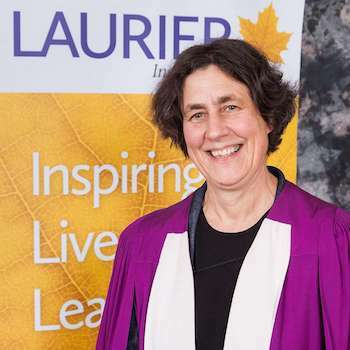 Laurier’s Senate Honorary Degree Committee will confidentially review nominations. It is recommended that nominees not be advised of their nomination. Individuals may also be nominated for spring convocation; the deadline is November 15, 2018. For more information and a list of past recipients, see Honorary Degrees.